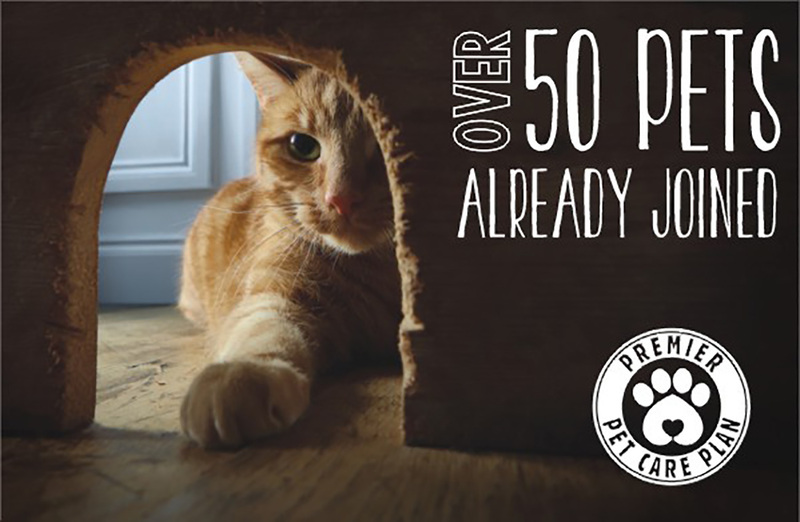 Our Premier Pet Care Plan is the best way to make sure your pet is kept in tip top condition from as little as £14 a month. A full health check and vaccination. Kennel cough is inlcuded for dogs. Thats an annual saving of over £50!! Call the surgery or pop in for more information.